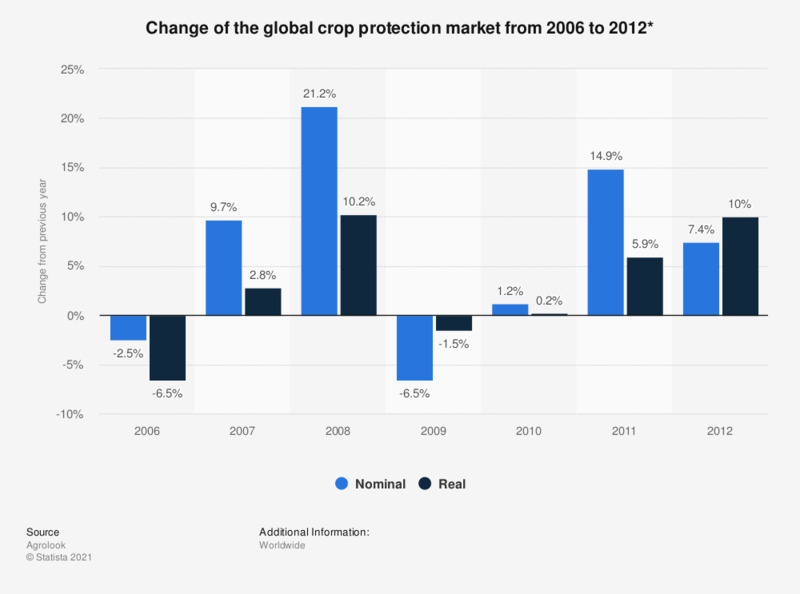 This statistic shows the performance change based on the previous year in the global crop protection market from 2006 to 2012, in both nominal and real values. In 2008, the global crop protection market increased by 21.2 percent based on nominal values from the previous year. Agricultural chemicals often refer to a wide range of pesticides, insecticides, herbicides, and fungicides.